DePauw University created the Global Health major in 2016, yet two of the three Global Service trips have been recently cancelled for the 2018 Winter Term. The two trips cancelled include the Timmy Global Health trip and the CoCoDA trip. Both trips are for nonprofit organizations and offer students the opportunity of a Winter Term in service. Timmy Global Health is an Indianapolis based nonprofit that works to expand healthcare. 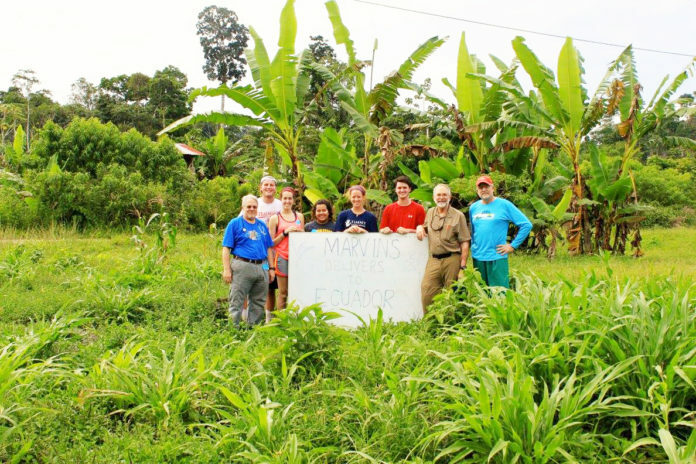 The organization provides students and volunteers to work directly in global development. According to their website, CoCoDA is a nonprofit organization that promotes projects for democratic, community-based social and economic development in Central America. Currently, DePauw is the only institution that partners with Timmy to go on a two-week brigade instead of a one week program. Now, however, DePauw will only have one trip, which is to the Dominican Republic, but for only a week during Fall Break. Director of the Hubbard Center Amanda Brookins-Blinn said she has been working with Matt Cummings planning the trip and trying to find additional financial resources for students. Brookins-Blinn said the Timmy and CoCoDA trips will not be running in the 2017-2018 academic year because no professors proposed the trip. Normally, professors propose their Winter Term trips in February, eighteen months before the trip happens. It is the Hubbard Center’s responsibility to find faculty to go on both trips after faculty proposals are submitted, but this semester Brookins-Blinn said they could not find a faculty member to go on the trip. “We try to identify faculty who would be good fits for the proposal, but unfortunately this year there just wasn’t anyone who was available for the 2018 cycle,” said Brookins-Blinn. In an email to junior Emily Cline on Feb. 21, Brookins-Blinn confirmed that both Timmy and another Winter Term in service were listed last year first as placeholders before faculty were sought to attend and lead the service trips. Now, because of a procedural change, faculty must be determined prior to the listing of Winter Term trips. This upset Cline, Timmy President and service trip leader, because student leaders had not been previously informed that faculty and staff members were not submitting proposals for the trip. “I wish the Hubbard center would’ve told the club that they had trouble finding faculty, but they never reached out, instead they only reached out to tell us that they didn’t find anything,” Cline said. Brookins-Blinn said a possible reason for faculty not being interested is because the faculty who have led service trips in the past are now senior faculty. “I think we’re also facing a little bit of generational shift in the faculty as well, the people who have led the program in the past are senior faculty and have been here for many many years,” Brookins-Blinn said. The difficulty finding faculty this year has led the Hubbard Center to change the way they recruit professors for these trips. Brookins-Blinn said they are now instead gathering faculty to go on site trips to encourage them to propose trips a year from now. Brookins-Blinn emailed potential faculty for the CoCoDA site trip last Thursday and is waiting to hear back. “They do a Friends of CoCoDA tour every year, and the Hubbard Center is going to help finance that site visit for faculty who are interested in developing a future CoCoDA program,” Brookins-Blinn said. In May 2016 students registered for the Timmy 2017 Service trip were informed via email from the Hubbard Center they would only receive Extended Studies credit. Faculty are paid on how Winter Term service trips are classified. If students can earn Academic Credit, faculty are able to earn up to 6.15 percent of their salary towards a future sabbatical leave or receive $2500 cash. However, if the program is classified as an Extended Studies and students are not receiving Academic Credit faculty can only receive the $2500 cash. Regardless, the money paying faculty is taken from the University budget and not student tuition. Despite trip cancellations, Brookins-Blinn said the Hubbard Center is organizing and financing a site visit for the Timmy Global Health trip, but Brookins-Blinn has not been able to contact the Timmy Global Health offices. Currently Cline has been serving as a student liaison between both the Hubbard Center and Timmy Global Health headquarters. The Hubbard Center only just recently informed Cline of her trip getting cancelled, even though the deadline for Winter Term trips is in early February. Cline was informed by Hubbard Center staff that the Timmy’s Global Health service trips had been cancelled for the 2017-2018 academic year in an email from Brookins-Blinn. Cline received this news a month after returning from her second service trip with Timmy and first serving as the trip-leader. Brookins-Blinn said the Hubbard Center’s delayed notification to the organizations is because they wanted to make sure what was going to happen with the programs. Brookins-Blinn agreed that they should have told the organizations earlier. “It could have been a little bit more proactive, but there have been a lot of changes that have happened through the university,” said Brookins-Blinn, “And our staffing structure and so we haven’t been able to communicate as effectively as I would have liked to. Faculty members of the Hubbard Staff have yet to inform CoCoDA President Anne Grujanac about the cancellation of their organization’s service trip. Instead, Cline informed her fellow peer Grujanac about the service trips’ cancellations. Grujanac cannot confirm whether or not the Hubbard center has contacted the CoCoDA foundation but she still has not received any information about the trip cancellation from DePauw faculty or staff. Both organizations’ presidents are worried about what the repercussions of attempting to establish both trips a year from now. 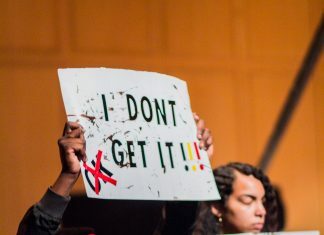 “Even with a one year delay it ruins our relationship and it ruins the continuity and the reasoning for us [service organizations] for being on campus,” Grujanac said. Brookins-Blinn is more confident the programs will continue. “If our spot does get taken by another institution what I hope will happen is that because Timmy is growing in capacity and helping new communities that DePauw can be one of the first institutions to start partnering with a new community,” Brookins-Blinn said. Even though these two trips will not be offered next Winter Term, there is a current proposal for a new Winter Term in Service trip. The trip will be abroad and with an organization that is already established in the community. There will also be a May Term in Service trip that will also be available. However, Brookins-Blinn could not release more information on either trips because they have not been approved yet.